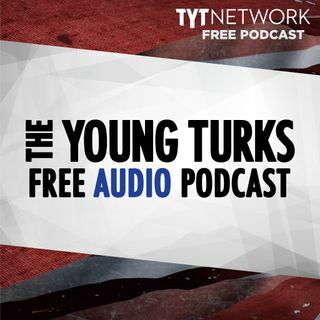 A portion of our Young Turks Main Show from February 19, 2018. For more go to http://www.tytnetwork.com/join. Hour 1: Students fighting for greater gun control. March to participate in the fight for greater gun controls from survivors. Republican donor vows to not donate to any candidate does not fight against militarized style guns. Hour 2: Cenk & Ana. Move overperforms massively. Black Panther politicized in negative ways. Right wing trolls spreading fake tweets about being attacked by ... See More black people at the movie theater. The cost of a vital cancer drug has gone up 15-fold in four years after its new owner hiked prices on nine separate occasions. Lomustine has been used to treat brain tumours, lung cancer and Hodgkin’s lymphoma for more than 40 years but is now seen by some patients as too expensive. At that point it was being sold for around $50 a capsule. The same dose now costs $768 (£570). NextSource has increased the price nine times in less than five years. A 20 per cent hike in August was followed by a further 12 per cent rise in November, according to analysis by the Wall Street Journal. Prices of other doses of the drug, which the company has renamed Gleostine, have also been increased exponentially.